While major corporate building projects may grab the big newspaper headlines, the lifeblood of every community are the many small- and medium-sized businesses (SMBs) that people rely on every day. Those SMBs grow and expand, too. 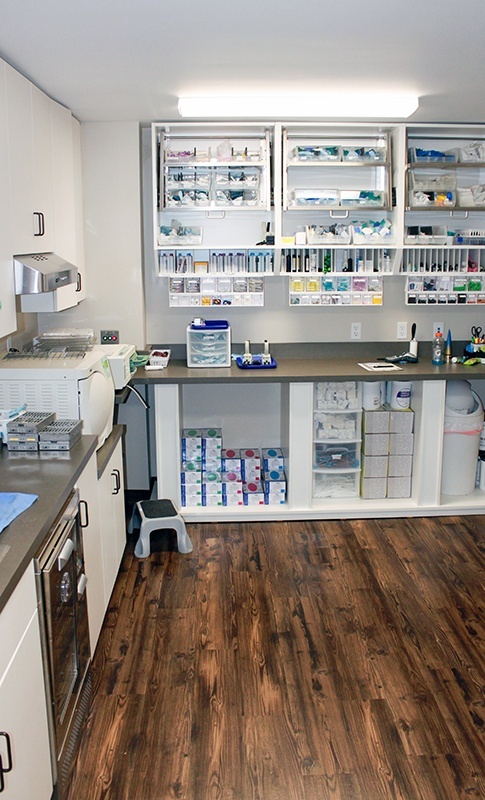 And now, residents of the Vermillion, South Dakota community can celebrate the newly-expanded and renovated Knutson Family Dentistry facilities on Cherry Street. A family-owned firm offering full-service dental work from preventative care, cleanings, and whitenings to crowns and cosmetic dentistry, Knutson Family Dentistry recently selected Fiegen Construction for a $1 million facility expansion and renovation. Fiegen’s design-build expertise was a perfect match for this project. Design-build offers a structure that is flexible and fitting for SMBs: a single contract; a single, focused team; better cost-control; and faster turn-around. A major issue for SMBs? Maintaining current operations and serving customers throughout the project phases of new additions, expansions, renovations, and other building improvements. This can be a huge pain point for business owners who need to remain operational while their facilities undergo necessary and desired improvements. The Knutson Family Dentistry project called for two phases to complete the entire scope of work. Phase 1 consisted of a 1,750-square-foot wood-framed building addition with increased paved parking for patients. Phase 2 was devoted to complete interior and exterior renovation of the existing dental facility. The original facility was housed in a residential property. While residential buildings are often used for commercial purposes, it can make design of expansions and re-construction a lot more challenging. One challenge for this project was tying in the new roof with the existing roof to create an aesthetically pleasing whole. Updates were also required so that the residential building architecture could accommodate the expanded facilities. Exterior finishing employed stone and stucco to create an attractive and uniform exterior appearance. Updates were also made to all interior finishes for an appealing, uniform finished look. Our project superintendent for this design-build effort was Adam Zdrilic; Lucas Fiegen served as project manager and Architect. Additional assistance was provided by Justin Christensen of RISE Structural Engineering, Rich Uckert of Banner Associates, Inc., a civil engineering firm, and several local subcontractors which provided plumbing, HVAC, and electrical services. 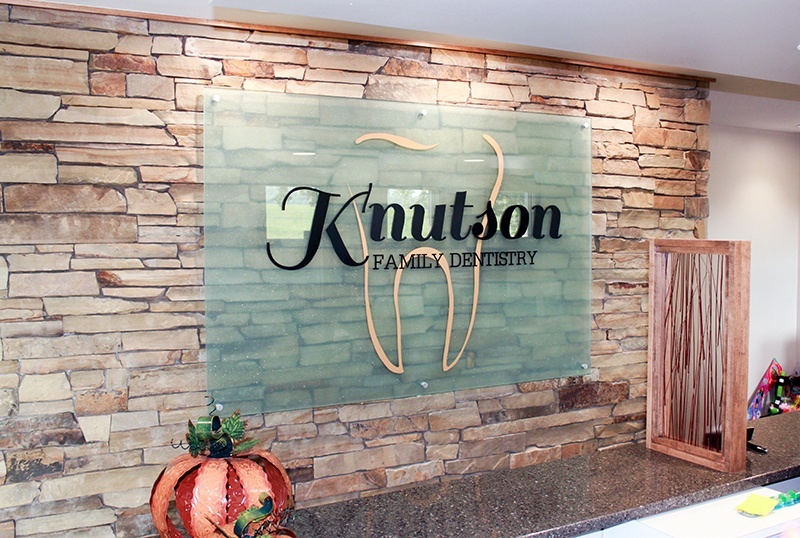 Knutson Family Dentistry is just the latest in medical category project work completed by Fiegen Construction. The Fiegen team handled a hospital expansion and remodel for Sioux Falls Specialty Hospital. As the Construction Manager for the 44,000-square-foot expansion and remodel work, Fiegen demonstrated its extensive experience and innovative solutions on a complex hospital project. As with the Knutson project, we worked closely with the design team and owner to develop a phasing plan that allowed the hospital to maintain full use of its facility for the duration of the project without any disruption to day-to-day operations. Fiegen also completed a retirement center addition for Avera Sister James Care Center in Yankton, South Dakota. The addition entailed a 58,100-square-foot retirement center addition that added 74 private rooms, 6 hospice rooms, and a Main Street with community areas, salon, theater, and offices. The existing facility remained fully functional and accessible during the multi-phase addition and remodeling process.